Eager to prove myself and succumbing to flattery, I became a blogger with David Horowitz' NewsRealBlog. The entire story is not that complicated. I knew David Swindle from Twitter and was following him because he is an editor for David Horowitz. One day I received an email from Swindle, with an offer. These exchanges between Swindle and me took place between May 27, 2010 and July 27, 2010. Swindle: Email if you're interested in doing posts on Israel/Anti-Semitism issues for NewsRealBlog. Swindle: Hi Naomi, Yes, wonderful to connect with you too...I suggest posts on issues related to Israel and anti-Semitism because those seem to be issues you're especially engaged with but I wouldn't necessarily limit you to those subjects. (I've also been wanting to get more coverage defending Israel and challenging/explaining anti-Semitism.) So if you want to get out your perspective on these issues from a platform larger than your blog and twitter account then we might be a good fit for you. I was thrilled, excited! I notified all my relatives and friends. I sent David Appletree from @JIDF a direct message telling him I had some news. I told David Appletree that I would be blogging for NewsRealBlog. Without hesitation he replied to me that Horowitz was a fraud. I was stunned. Of course, I wanted to believe David, and I should have. (I found out later, that David had blogged about Horowitz being inept back in March of 2009.) David from the JIDF had been advising me, and helping me for a whole year. I was ready to strike out on my own and at the time my ego took control, wanting this success to a serious extent. Even though I had my own blog going pretty well, I needed more traffic. My book sales had stalled. I was unwilling to heed David's advice. I wanted recognition and was convinced this was right. Honestly, my motivation was financial, as I hoped to make some income which my mother, a Holocaust survivor needed desperately, in order for us to stay in her home. I was so wrong. Later, on the JIDF site, I was to read Horowitz' 2008 tax return and discover how much money he and his cohorts brought in in 2008 and the huge salaries that he and his family were on. As you will see, I was shocked to find out that they did not intend to pay me. In the end, I was not to make a penny from this endeavor. But let's get back to the sequence of events. I sent my first article to Swindle and got this response. Wow, I was getting great feedback! Swindle: This is excellent. I adore your prose style. You have a great voice... The only thing that I would suggest for future posts is to generally shoot for as current as possible. Try and jump on discussions, debates, and news items from the last week. But I'll bend on this because the subject you're writing about wasn't widely reported, it's related to the recent video of David Horowitz and Genocide Girl, and it's so well-written. Naomi: ...I am trying to take this all in! Thank you for the stunning compliment! I need to send you a book. Do you want one? Just need your postal address, if so. 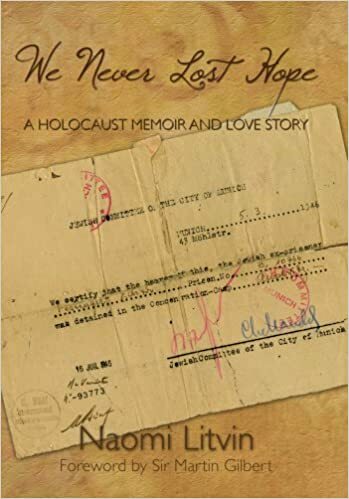 I offered Swindle a book, so that he would include my book, We Never Lost Hope: A Holocaust Memoir and Love Story on the NewsRealBlog book club, which he accepted and then did include on the site. I'm eager to see more posts from you. As I said your prose style really struck me as engaging and that's something we don't get enough of. I'm really more interested in interesting, lively, creative voices than just wonks who can hammer out the boilerplate conservative position on an issue. More compliments on my writing came from Swindle. Swindle: Scheduled for the post to close out the day and also so it will go out in tomorrow morning's email blast! I'm LOVING your writing!!!!!!!!!! I offered to interview Swindle for my column, Conversations With Naomi. During the interview process, I discovered how he had gone from being a 'leftie' to a Horowitz disciple. In his own words he described himself as a Horowitzian Conservative and stated that his central political influence is David Horowitz. He offered plenty of documentation on his conversion to the Horowitz way of thinking. I was surprised to find that he had been raised as a born-again Christian. We cross-posted Conversations With Naomi: David Swindle on both my site and his. I became alarmed. My spine began to tingle. I admire Debbie Schlussel very much. Besides being from Detroit, my old stomping grounds, the area I grew up in, Debbie's grandparents are Shoa survivors (so is my mother). I don't have to meet her to know the menschette that she is. She is fearless and intellectually honest. Her writing is totally original. She is not just a rehasher of news, like Scamella Geller. People that hate her actually fear her, because they don't have the guts to admit that they may be what she is writing about. She is a role model to me. So what if she is direct and to the point? That's part of her appeal, and what makes her great. That and the fact that she is an attorney, has worked undercover in a den of Muslims and survives threats, stalking, and living near Dearbornistan. So basically we've adopted a policy of ignoring her. (I've had some interactions with her too and she's been very, very rude to me about all this.) In choosing one's political allies there's a question more important than "what do they believe?" There's also the question, "Are they sane?" So it doesn't really matter that she's "on our side" when it comes to Israel and Jihad. She does more harm than good. I wrote back to Swindle, with what I now regret to say could be interpreted as an appeasing email. I am sincerely sorry that I did, and to be intellectual honest about the situation I must disclose my confusion at this point. Remember, reader, that Swindle was shmoozing me big-time. I kept asking myself, "How do professional writers juggle their alliances?" Naomi to Swindle: As far as who are my friends, well, I'm not exactly sure on that, and have had some reaction to my new association with NRB from relatives and friends. But please let me clarify that my life is totally separate and different from what may appear on twitter. I have been on a political and ideological journey since writing my book, somewhat similar to yours... I want to be a free-lance writer, independent of undue influence, think for myself, and associate with intelligent and sane people. I hope to continue our newfound discourse, friendship. O.K., I admit I fell off the wagon. I was a little drunk with the future possibilities. It was a big slip. I am human, after all. With that said, my spine was still tingling when soon after I became witness to some high drama on Twitter between @daveswindle and @JIDF. Soon after, it started getting ugly. 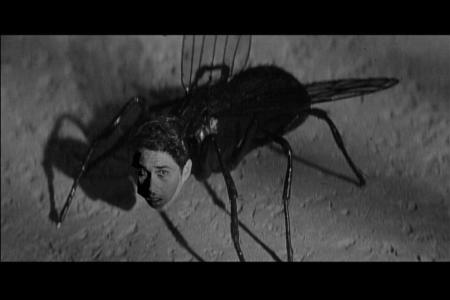 Swindle: JIDF picked a fight with me ... I don't have time for that kind of childishness. Israel is under assault and a second Holocaust is being planned. I stopped following him and blocked him. So just a warning that he might give you some gruff about blogging for NRB. But I'd sincerely like you to continue. I tried to tell Swindle to deal directly with Appletree. Naomi: Would you please consider speaking to him directly on the phone? Swindle: He and I did connect. But then he decided to pick a fight with me because Jenn Q Public retweeted two tweets critical of Debbie Schlussel. The whole thing just seems really childish and immature. It's like he just wanted some drama to amuse himself. We're not in junior high any more and the defense of Israel isn't a game. Naomi: ...After reading Calvin, anti-abortionist on NRB, I started questioning whether I could handle being a blogger on your site. Then my mom got sick and that always skewed my perspective. She is better now. I am a staunch conservative on Israel, but do not want to be associated with insane anti-abortionists that also have fetus avatars, post surgical tools images, and such maniacal thinking. It feels like they have a strong platform on NRB, I'm not sure I want to be on a team with them. The whole twitter drama, yes, it got carried away and I am sorry. I need to take a step back from the whole insanity. Raw emotion on twitter, NOT GOOD! I have been evolving this last year, since I published my book - as a blogger. But I want to be my own person. My objective is to sell books and advocate for Israel. I have my own blog and if blogging for others doesn't translate into book sales or paid blogs, then I'm wondering, what's the point? At what point would I be paid for blogging for NRB? 1. If you don't want to get into fights with the socially conservative bloggers on the site then don't get into them. The thing about NRB is we have the whole spectrum of conservatism. We've got pro-life people, pro-choice people, pro-gay marriage people, anti-gay marriage people. I mean you want to know why that whole abortion debate happened? Because David Horowitz saw Calvin's headline and was like, "I don't want our people using that kind of rhetoric." (*Naomi: Why, did he actually read an article on NRB?) Well, the problem is that that kind of rhetoric is mainstream within the conservative movement. It's not out of line to say abortion is murder. So instead I challenged Calvin in debate and discussion on the issue. But if you don't want to be on a team with social conservatives then you're basically saying that you don't want to be a part of the Conservative Movement. (*Naomi: I didn't say that. I just don't want to be defined by NewsRealBlog.) I don't agree with the social cons on things like abortion and gay marriage. But I do agree with them on foreign policy and economics -- and that's what matters. When the Left and the Islamists are beaten then maybe there won't need to be this libertarian-social conservative alliance like there is now. But that day isn't here yet. 3. You could be paid for blogging for NRB when your posts are solid and ready to go right away and when your posts start consistently generating higher-than-usual traffic. I have a limited freelance budget and need to invest it in people who will help really grow and build the publication. If someone writes a post and it gets 200 or 300 page views then that's not really worth $20 (which is what we typically pay for our paid featured posts) If someone keeps getting 2000 page views a post then they probably are worth $20 a post. We also do flat rate agreements where perhaps I'd agree to $50 a week in exchange for a minimum of 2 featured posts and at least 2 shorter twog posts. It all depends on the value that you bring to the publication. And I measure that value in traffic. Naomi: I know, I didn't need to pick a fight with Calvin! What was I thinking? (*Naomi: That was sarcasm)... I need to back out of this conflict! Maybe I could generate that kind of traffic at some point but wow, don't think I am there yet... What do you mean, "What do I want to do?" Swindle: You can try and back out of the conflict. I got dragged into it. I intentionally avoid saying anything but David had to confront me on it. I'd be surprised if he lets you slink away from it. I think he'll probably force you to choose between being a friend of his and being a friend of mine and an NRB contributor. I could be wrong, though. Anyone is capable of generating that kind of traffic if they pick their topics well, package their posts effectively, and promote their posts at the right places. It's not who you are it's what you do... What I meant by "What do you want to do?" is "You still want to write for NRB, right?" @nlitvin He was mad at me because I would not fire/discipline @jennqpublic because of her anti-DS retweets. @nlitvin Will u still blog for me and be part of my publication? Will u still be a friend even if JIDF thinks I'm an anti-Semite? @nlitvin That's very hurtful that you would end a friendship and alliance over that. I take that personally. @nlitvin Why can't I help but think this has something to do with you choosing loyalty to someone else on Twitter? I admit that I deleted my tweets replying back to Swindle. So what? That just makes me smarter than him. This was getting too strange, even for me. I was realizing that I needed to pull out from NewsRealBlog. There was more bothering me than the 'debate' between Appletree and Swindle. I also didn't like the tone of some of the extreme right wingers on NRB. I had commented on one guy's lunatic rantings and images on anti-abortion that sounded absolutely dangerous to me. That opened a Pandora's box. He commented back and then started following me on Intense Comments. Yikes, what had I gotten myself into here? Now you're not following me any more... I thought we were still friends. But we can't be because JIDF doesn't approve of me because Horowitz didn't pull an article and because Jenn Q. Public retweeted two tweets and I wouldn't discipline her or force her to apologize to him? Can we talk? I've got your number from the card you left in my copy of the book you sent me. You can call me, too. I really don't understand how you don't like the tone of my bloggers but you do like the very aggressive tone of JIDF and Schlussel... That doesn't make sense to me. How is this productive in defending Israel to create and stir up this kind of twitter drama? Look, it's clear that he won't let you be friends with me. So I'm just going to back away from all this. Whatever makes you happy, Naomi. But you can always give me a call.. Best of luck to you in your writing career. Naomi: First, no one is my 'boss.' Second: it was clear to me last night that you were stirring it all up and I felt like a pawn. I am really sick about this. None of it is about being happy, that's for sure. I'll call you when things cool down. Swindle: Stirring it up? Stirring what up? A pawn? A pawn in what? I'm not playing some game here. It's simple, just as I expected: he's making you choose between being his friend and being mine. I'm not forcing you to make that choice. He is. What does that say about him? I made my decision, and finally directly asked to be taken off NewsRealBlog. Naomi: Dear David, Can you please remove the five posts that I did for NewsRealBlog? I don't want to be a blogger for your site and prefer that those posts come down. Swindle: Have I somehow insulted or disrespected you? Naomi: It's not about you and me, it's about Novak, Condell, Geller and some of the other bloggers that I don't want to be associated with. I see that you have denied me to delete them myself, so I am asking you, please just take them down. I don't really understand your reasoning here. Because NRB and FPM has in some way supported individuals who have deviated from pro-Israel orthodoxy you don't want your posts appearing here anymore. Could I have a list of the "true" supporters of Israel and anti-Jihad warriors so I know who I'm allowed to publish, link to, or say nice things about? Is there ANYONE on that list apart from JIDF and Debbie Schlusssel? Because I bet any name you could give me has somehow violated their code of conduct by saying something nice about someone who isn't a pure saint when it comes to Israel. I'm willing to take your posts down, Naomi. I'm just wishing you could stop and think about all this for yourself instead of just marching in lockstep behind JIDF and Debbie. So we're not friends or allies any more, right? Naomi: I don't understand why you don't think I have a mind of my own. 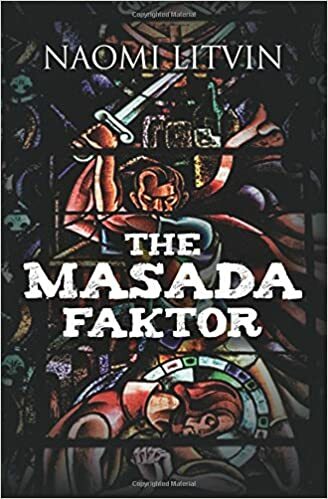 Besides having my own book and my own blog, where I can publish whatever I want and moderate the comments, I can think on my own and make my own decisions. I have told you initially, when I first got involved with NRB, that I was concerned about the Novak/Laksin article. Then when I got into it with Calvin and realized what type of radical right wing pro-abortion people you have there, I started to become alarmed. I never liked Pamela Geller, she ignored me when I tweeted her a couple of times re: bit.ly. It didn't have anything to do with Debbie Schlussel. In fact, Debbie doesn't even follow me on twitter. As time went on and I have become more educated as to the dollars that Horowitz collects for his 'non-profit' and the salaries that he, Spencer get, I became more alarmed. You are on salary, I understand why you may do what you do. You are wrong to judge me as blindly following other people's orders. This conversation is over. I let another day pass and he still did not remove my blogs and profile from NewsRealBlog. That was the last straw. Naomi: Have you taken care of the business that we discussed on email? Swindle: (second tweet) If we have anything more to discuss then you can always email me. Swindle: I'm sorry that you don't like what you see when I hold up a mirror. 1. Can you show me one blog post you've done in which you've publicly disagreed with JIDF and Schlussel? Then it might seem as though you're thinking for yourself instead of just following their lead. 2. Calvin is not a "radical right wing pro-abortion" person. His view that abortion is murder and should be a crime is held by a third of the country. In fact I think Schlussel even has that position, though I could be wrong. 3. You're alarmed that the heads of conservative organizations and their senior people are often well compensated? The DHFC isn't particularly different than any other left or right-wing organization in this regard. Do you know how much the Heritage Foundation and the American Enterprise Institute pay their people? Do JIDF and Schlussel -- who you probably got the questionable figures from -- know? 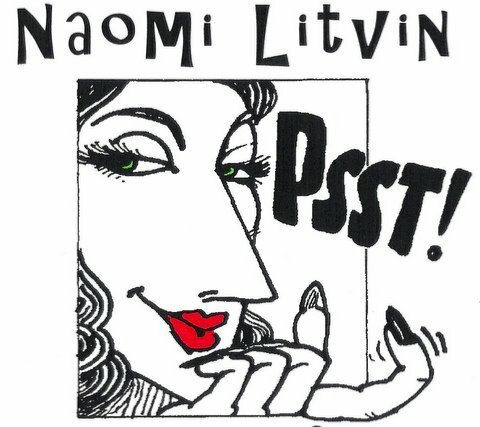 Naomi: 1) It's none of your business, 2) I have no clue on that issue, 3) Tax forms linked to on JIDF site don't lie, 4) I do not owe you explanations. If you do not remove my work and my profile from the NewsRealBlog site within two hours, and you continue to contact me, I am going to pursue my legal options. Swindle: Threatening people with "legal options" is a Debbie Schlussel move. Your posts are no longer on the site. Have a nice life. I will have a nice life, because I refuse to compromise on my alliances. I might make a mistake sometimes, but don't let that fool you, readers, and don't ever underestimate me. I absolutely don't feel like I have sacrificed anything to stand with David Appletree and Debbie Schlussel. It is just the right thing to do. No one is going to bully me or manipulate me into turning against the people that I trust, the real supporters and defenders of Israel and the Jewish people.Thanks for the memories, NewsRealBlog.